1. Leading indices are all stronger - ECRI is at pre-recession levels. 2. Labor markets are clearly improving. Initial jobless claims clocked below the 2006 level this week (see Twitter post). 3. 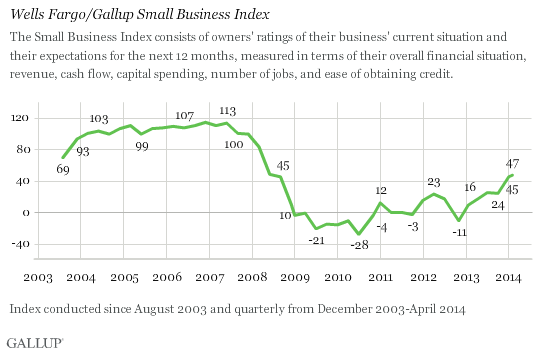 Small business surveys show owner sentiment, which had remained weak for years, finally on the rise. 4. Credit expansion in the US has accelerated. 5. Inflation is picking up (see post) and inflation expectations are higher as well. 6. And even the housing market, which had stalled this year, surprised to the upside today. 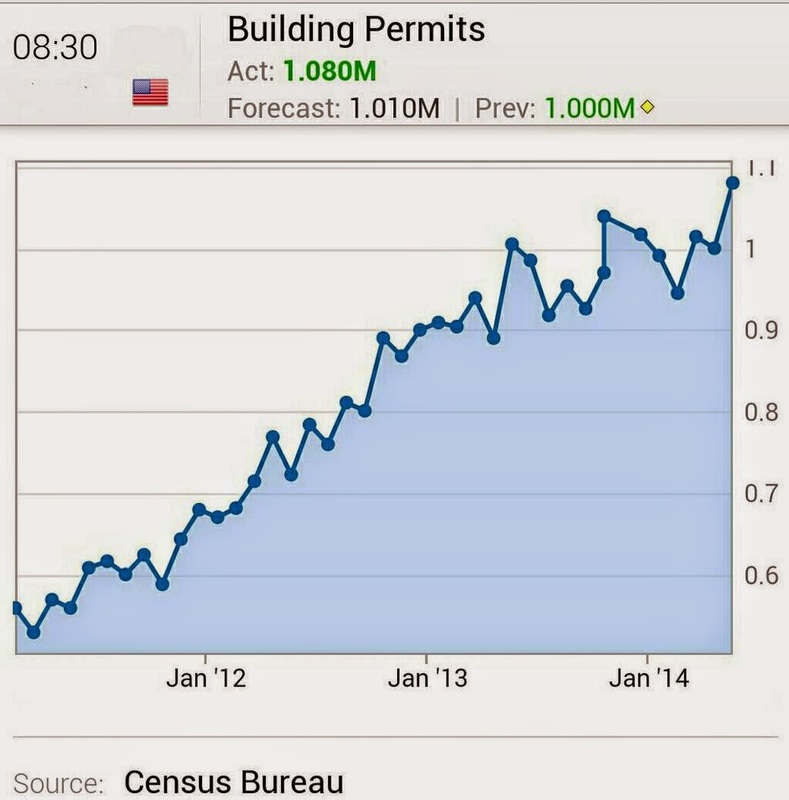 Both housing starts and permits came in above expectations. Clearly there are geopolitical tensions over the Ukraine crisis and all the search for yield in the face of the ECB's expected easing action is putting downward pressure on rates globally. The US consumer remains jittery, generating a drag on growth. Furthermore, equity investors are using treasuries as a proven form of downside protection. Yet in the face of strengthening economy and relative to the uncertainty of the US government shutdown and debt ceiling impasse last year, current low yields are difficult to understand.